Yes, Hemp Bombs Complete Relaxation 300mg CBD Syrup is federally legal throughout the United States. We extract our CBD from Industrial Hemp. We ensure the quality and purity of our CBD through third-party lab tests. Third-party lab tests also confirm that our CBD Relaxation Syrup contains zero traces of THC. 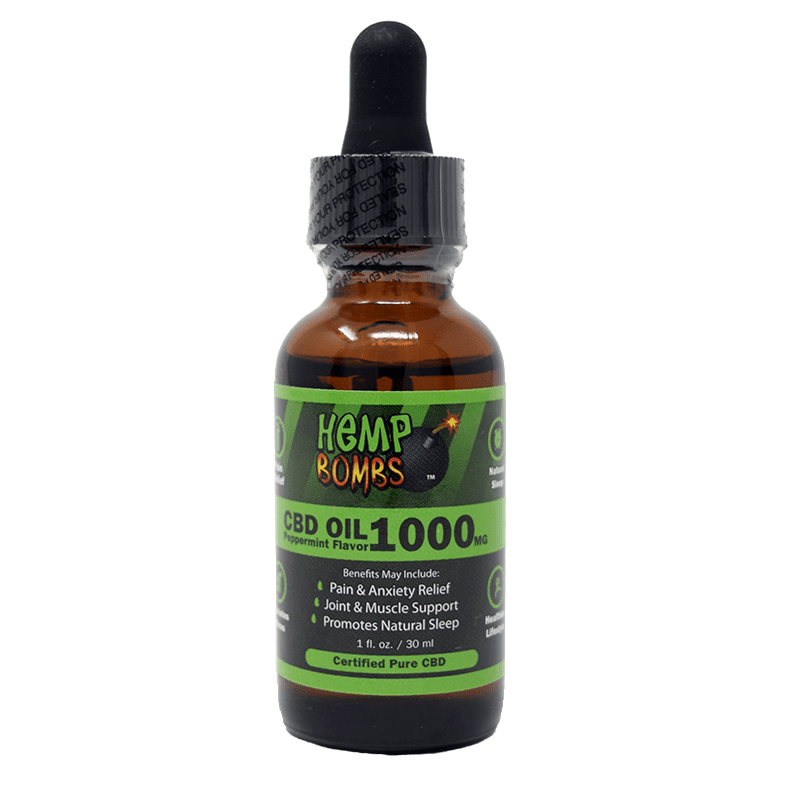 Hemp Bombs Complete Relaxation 300mg CBD Syrup comes in varying concentrations. If you have not previously tried CBD before, we recommend starting with a small dose, like five to ten milligrams. CBD affects everyone differently, so it is best to start small and gradually increase serving size once you see how CBD makes you feel. 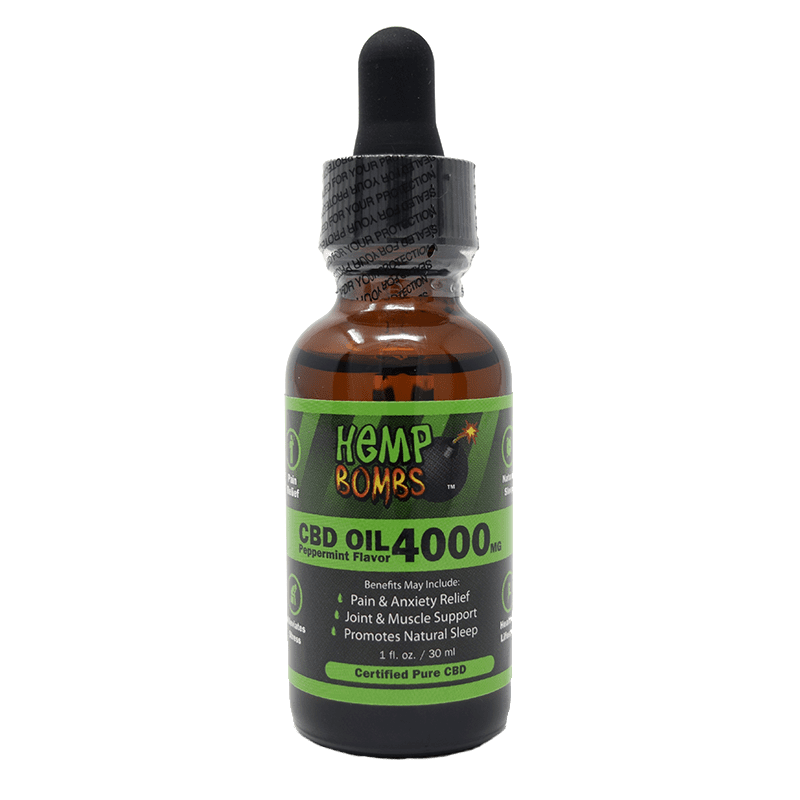 No, Hemp Bombs 300mg CBD Relaxation Syrup will not get you high. 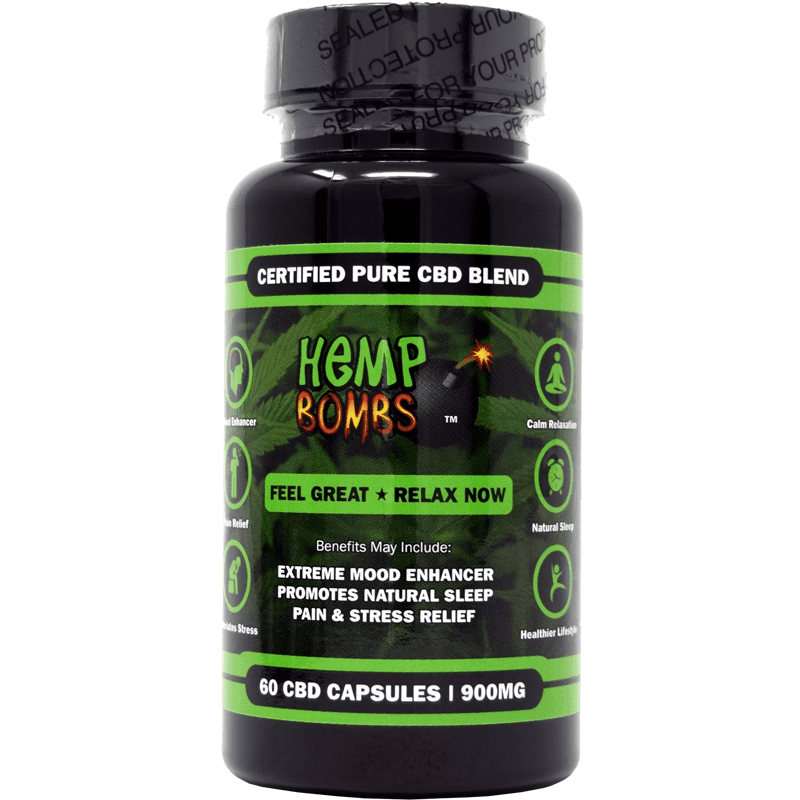 At Hemp Bombs, the CBD used in our Relaxation Syrup is sourced from Industrial Hemp and branded CBD isolate. CBD isolate products are purely CBD and do not contain traces of THC, the high-inducing compound that is associated with Cannabis plants. Our CBD Relaxation Syrup promotes a calm and peaceful state of mind. My husband and I both take it. We will be ordering more. 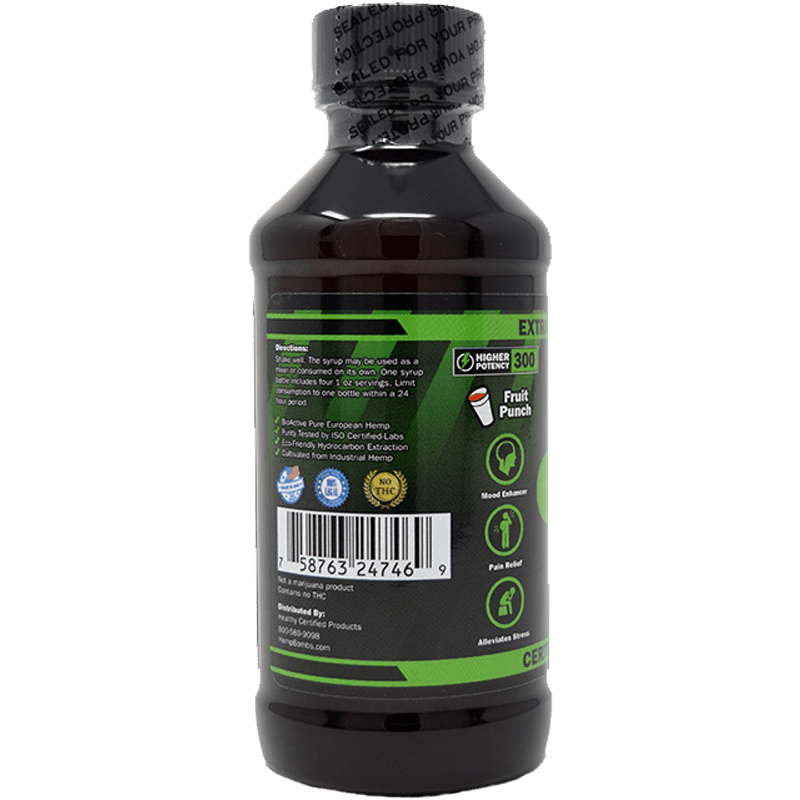 I can recommend this cbd syrup to anyone who suffers from anxiety. This helps and I will be trying the 1000mg syrup on pay day. I slept very well on this cbd syrup. And, I never got that drugged feeling when I woke up like I did with sleeping pills. I felt refreshed and ready for the day. The delivery took longer than I expected but it was during the Christmas season. I did enjoy it once I started using it. Good product. I’ve never had such vivid dreams. Good, deep sleep. Is it the melatonin in it? 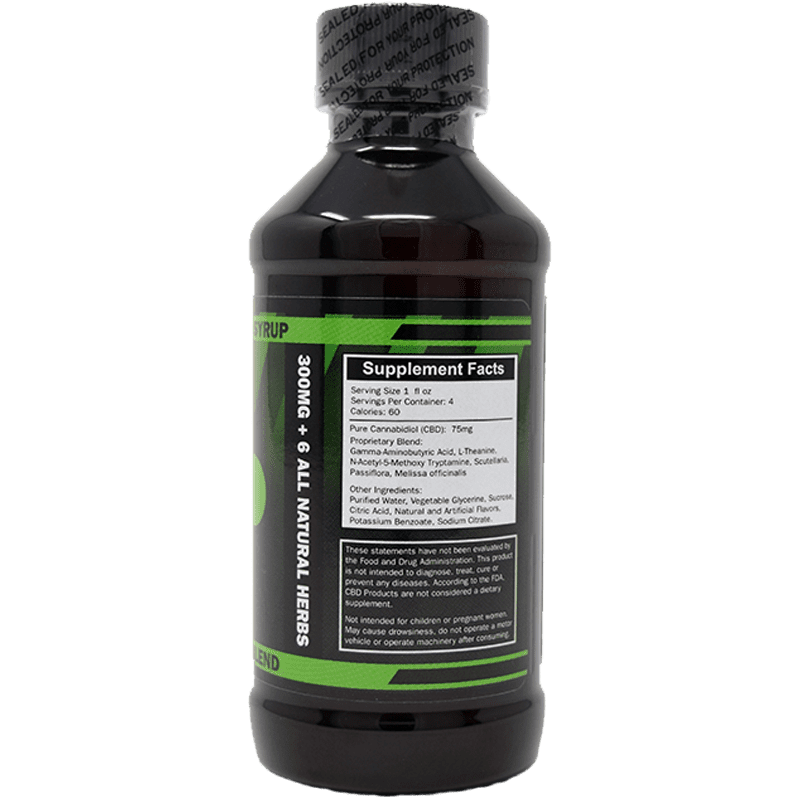 Just wanted to share this with you… This cbd syrup really knocks me for a loop right when I need it. After a hard day at work. Look forward to it. This is pretty good stuff. I like it. I think I purchased too weak of potency in this syrup. This didn’t do more than make me feel really tired. Will the 1000mg make me go to sleep? Alright. I don’t know why but my two year old beagle Sam has been suffering from epliptic seizures . I gave him a quarter teaspoon of your syrup and for the first time in two months he started playing again with his toys. I took a shot myself. I believe CBD oil will save my dog’s life. And probably mine too. Will keep buying this stuff. Amazing! Helps with my sleep. love it. Works wonders for making me drowsy then fall asleep. Love it. Great quality! I tried the 1000mg but it was too strong, so I took a step back to 300mg and it’s much better for me. I’m new to CBD so I have no idea how this is supposed to taste. To me it isn’t real tasty, but again, I can’t compare to anything else. I’ve been taking sleeping medications for years, and I hated all of them because I woke up feeling so DROWSY! My CBD syrup gets me to sleep the same as the sleeping pills did, but I wake up feeling refreshed and awake. My husband has let me know that I’m a lot less grouchy in the morning lol! I will reorder. Thx. Mix it with Sprite just trust me!! Your CBD syrup helps me get a good night’s sleep every night. I just ordered another bottle. 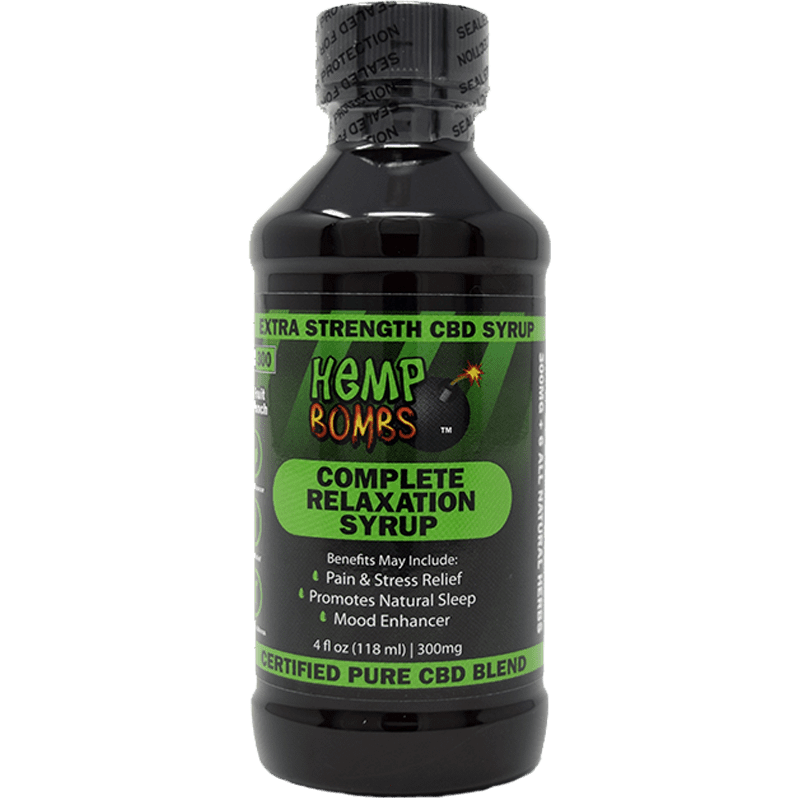 I have been using the Hemp Bombs cbd syrup for months now. Just ordered another bottle because it keeps working. Tastes good and the syrup is not too thick at all. No weird aftertaste. I take this when I feel a panic attack coming on and I instantly calm down. I love anything Hemp Bombs puts out. No bad side effects for me, helps with my severe back pain. I really like this syrup. I noticed I can’t take it too early or it will make me sleepy. WORKS LIKE A DREAM. I’VE BEEN USING CBD FOR A VERY LONG TIME BUT NOW HEMP BOMBS IS MY FAVE COMPANY. I DON’T LIKE TO TRY NEW COMPANIES BUT YOU GUYS ARE GREAT. I’M ABLE TO SLEEP AND I DON’T MIND THE TASTE. Works well and I highly recommend it. Just ordered my 3rd bottle of cbd syrup. I rely on it now. Hemp Bombs is a GREAT company. They really know what they’re doing and their products are very effective. Super product for anxiety. Takes it right away. This is helping with my back pain. Doesn’t taste great, but medicine doesn’t either. As long as it is working. The fruit punch flavor is strong but it’s not a bad thing, it’s pleasant. I take this before I go to gym, it eases my anxiety. I’ve tried other cbd syrups and they all had a terrible aftertaste. Your syrup does not have an aftertaste or taste like cough medicine, it’s taste like fruit punch. Also great customer service and fast shipping is always a plus. So far it’s been great. I started taking this because I had a hard time staying asleep past 2am but this syrup has helped me sleep better. I’ll keep on using, it’s only been 3 weeks. this one is cool but i need a stronger mg.
helped with insomnia & migraines. will recommend to friends. Love this! Highly recommend for anyone who has high anxiety like me. I just ordered the 300mg Syrup. I want to see if it’s better than the 100mg I just ran out of. This works tremendously for my leg pains. Much less pain after taking. Take this any time I am having issues falling asleep, which is fairly often, so I know it is working. I like it. The syrup makes my leg pain much less. Good stuff! I take this straight with nothing mixed in. It really relaxes me every time. This stuff works but the taste could be more pleasant in my opinion. I bought and use this syrup every day. 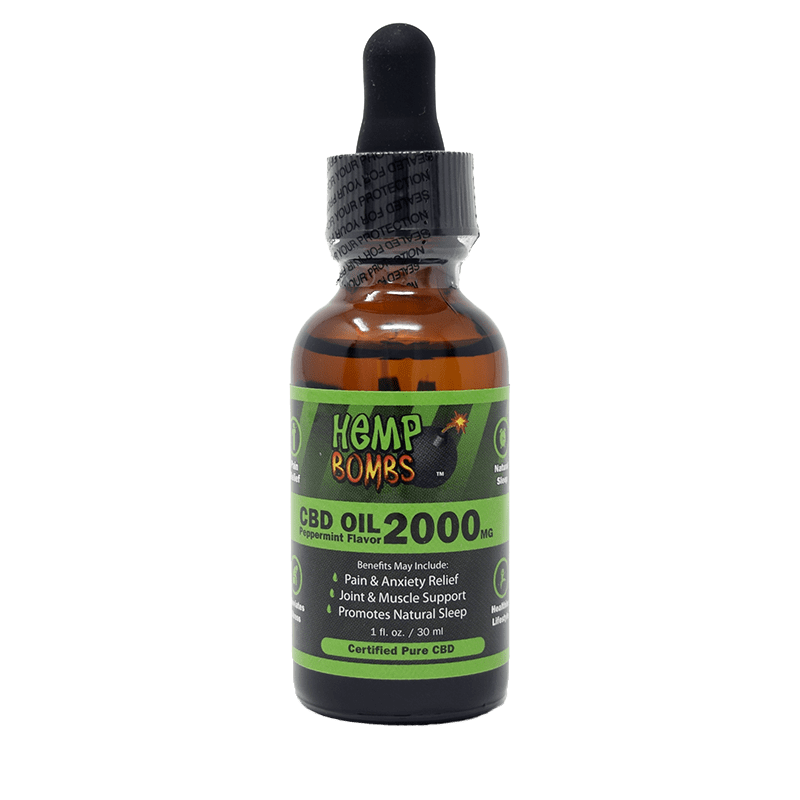 I will continue to buy and try new Hemp Bomb CBD products. Great company, great product line. I have been using it in the AM with breakfast and at night. It is working better than I had any idea it would. I highly recommend Hemp Bombs products. i loved the syrup but hated that there was only 4 doses in a bottle. With this higher dose, I am actually not using it by the recommended dose, I am using it by the spoonfuls instead. It lasts longer and I get pretty much the same effect. And thats good because I like this flavor so much better than the oils. Thanks for the super duper, lightning fast shipping. I will be giving the syrup a go tonight. Love your fruit punch flavored cbd syrup! I live a really healthy lifestyle and I’ve made it part of my daily routine. I put a teaspoon full in my morning orange juice gets me feeling great and ready for my long trek to work. It’s just enough to take the edge off and de-stresses me while in traffic. I’m not liking the taste of this. works, but wish there were other flavors to choose from. Maybe soon? This stuff delivers. I take it at bedtime and it’s light out for me. And you guys ship fast! Got my package in 2 days. Sleeping like an infant with this syrup. Works great and feel well rested when I wake up. This dose works perfectly for me. I am so glad that you came out with a higher dose of the syrup! I went thru the other one way too fast. I will try the strongest one next time so i will know which one is best for me. This one is much better than the small dose one. I am so happy with the results, and I dont have to take a pill (i hate taking pills) I can put some in my sprite and no one even knows. And it really does help with my anxiety.